Coneflower planted in the rooftop garden of NC State's Talley Student Union. NC State Horticultural Science faculty member Anne Spafford shares her advice on how your own garden can protect pollinators such as bees. Incorporate many different kinds of flowers to support a variety of pollinators. Avoid flower cultivars with so many petals that bees can’t access pollen or nectar. 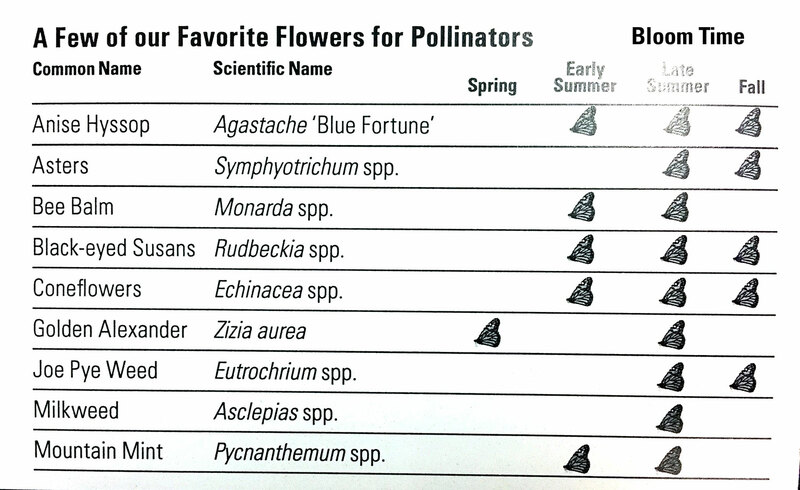 Plan for bloom times from early spring through frost (late summer is most critical). Provide habitat, like ornamental grasses, for cavity-dwelling bees that overwinter in the stems. Leave some bare ground in the garden for ground-nesting bees (a good place is under woody plants). Bees get thirsty, too — provide a watering station such as a birdbath filled with rocks so they can hydrate safely. Any size pollinator garden helps. 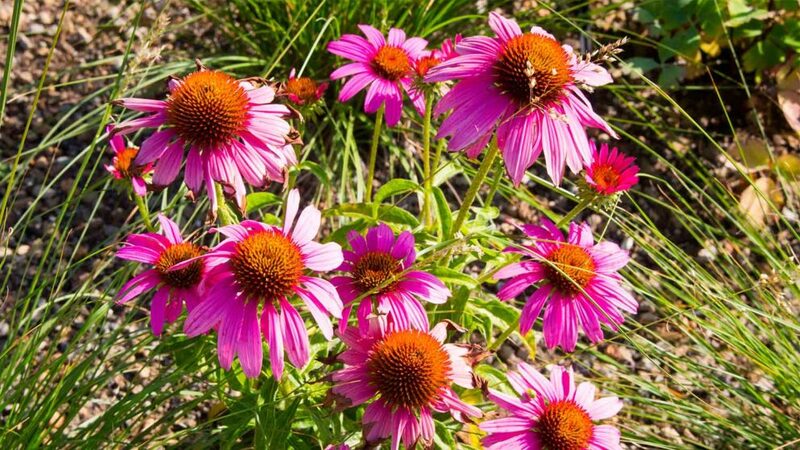 You will have the best results with a pollinator garden in sun. Published in Land, News, Uncategorized.